Do you depend on accurate accruals to close out an accounting period? 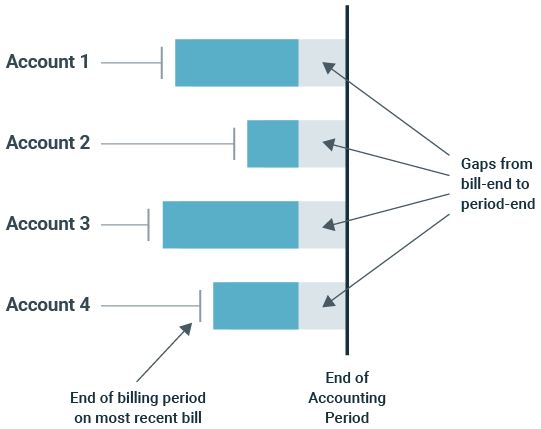 EnergyCAP’s utility bill accounting functionality can create estimated utility bills based on historical billing data to help your finance staff fill in the gaps. The accrued bills can then be exported to the General Ledger, and when the actual bill is received, a simple process reverses the accrued transactions. If your accrual needs aren’t as complex, EnergyCAP provides some accruals reports that can be used to project use and cost based on existing utility data. The reports bypass the need to create actual bill records in EnergyCAP and can be exported from EnergyCAP in spreadsheet format for use by accounting staff.